Highlights of this 2016 Acura RDX Advance Pkg include: Serviced here, Non-Smoker vehicle, CARFAX 1-Owner, Extra Clean. REDUCED FROM $25,679! FUEL EFFICIENT 28 MPG Hwy/19 MPG City! NAV, Sunroof, Heated/Cooled Leather Seats, Power Liftgate, WHITE DIAMOND PEARL, PARCHMENT, PERFORATED LEATHER-TRIMMED. Alloy Wheels. Ample power, strong fuel economy and outstanding rear legroom make the 2016 Acura RDX a solid choice for a premium small crossover. -Edmunds.com. Highlights of this 2018 Subaru Forester Premium include: Serviced here, Originally bought here, CARFAX 1-Owner, Subaru Certified, Excellent Condition, GREAT MILES 6,457! JUST REPRICED FROM $252,524, EPA 32 MPG Hwy/26 MPG City! PRICED TO MOVE $1,600 below NADA Retail! Moonroof, Heated Seats, All Wheel Drive, Back-Up Camera. Edmunds.com's review says With 8.7 inches of ground clearance, the Forester easily has the edge over other SUVs in this class..
With 8.7 inches of ground clearance, the Forester easily has the edge over other SUVs in this class. -Edmunds.com. Highlights of this 2016 Subaru Forester 2.5i Limited include: CARFAX 1-Owner, Excellent Condition, GREAT MILES 18,976! JUST REPRICED FROM $26,363, EPA 32 MPG Hwy/24 MPG City! Navigation, Sunroof, Heated Leather Seats, All Wheel Drive, Power Liftgate, Panoramic Roof, Alloy Wheels. Navigation Sys & Audio W/harman/kardon & Eyesight : Radio: Subaru Starlink 7.0 Multimedia Nav System, AM/FM stereo HD radio w/single-disc CD player w/MP3/WMA/CRR/RW file capability, 7.0 LCD screen, voice activated control, Radio Broadcast Data System (RBDS), Bluetooth audio streaming connectivity, Bluetooth hands-free phone connectivity, Bluetooth hands-free text messaging connectivity, iPod control capability, iTunes tagging capability, rear-vision camera, SMS text messaging capability, SiriusXM satellite radio (subscription required), SiriusXM NavTraffic (subscription required), SiriusXM NavWeather (subscription required), Starlink cloud applications: calender, iHeart Radio, Stitcher, music player, news and weather, dual USB port, 3.5mm auxiliary input jack and roof mounted audio. Superb Condition, CARFAX 1-Owner, ONLY 25,597 Miles! WAS $26,999, EPA 32 MPG Hwy/24 MPG City! Moonroof, Heated Seats, Power Liftgate CLICK ME! Full-Time 4MATIC All-Wheel Drive, Power Liftgate, Turbocharged, iPod/MP3 Input, Onboard Communications System, Aluminum Wheels, Smart Device Integration Mercedes-Benz GLA 250 with Cirrus White exterior and Black interior features a 4 Cylinder Engine with 208 HP at 5500 RPM*. PANORAMA SUNROOF, harman/kardon PREMIUM SOUND SYSTEM, HEATED FRONT SEATS, BLIND SPOT ASSIST, SATIN BROWN POPLAR WOOD TRIM. Rear Spoiler, MP3 Player, Remote Trunk Release, Keyless Entry, Steering Wheel Controls. Non-Smoker vehicle. Edmunds.com explains The GLA's relatively tight turning circle of 36 feet proves well-suited to the cut and thrust of urban driving.. Highlights of this 2018 Kia Sportage SX Turbo All Wheel Drive With Navigation include: Non-Smoker vehicle, Excellent Condition, CARFAX 1-Owner, ONLY 4,351 Miles! PRICE DROP FROM $29,250, $2,200 below NADA Retail! EPA 23 MPG Hwy/20 MPG City! Nav System, Moonroof, Heated Leather Seats, All Wheel Drive, Panoramic Roof, REMOTE START (PUSH-BUTTON START), Aluminum Wheels. Its ride quality is impressively comfortable, even with bigger wheels, and its cabin stays nice and quiet on the highway. Interior quality is also better than most, and it looks good, too. Other advantages include a big back seat and large doors that make it easy to get in and out. -Edmunds.com. Highlights of this 2018 Chevrolet Equinox LT include: Serviced here, Non-Smoker vehicle, Originally bought here, CARFAX 1-Owner, Very Nice, ONLY 15,084 Miles! WAS $30,500, FUEL EFFICIENT 30 MPG Hwy/24 MPG City! Back-Up Camera, All Wheel Drive, Satellite Radio, Onboard Communications System, iPod/MP3 Input, ENGINE, 1.5L TURBO DOHC 4-CYLINDER, S.
TRANSMISSION, 6-SPEED AUTOMATIC, ELECTRONICALLY-CONTROLLED WITH OVERDRIVE includes Driver Shift Control (STD), SIDI, VVT (170 hp [127.0 kW] @ 5600 rpm, 203 lb-ft of torque [275.0 N-m] @ 2000 - 4000 rpm) (STD), AUDIO SYSTEM, CHEVROLET MYLINK RADIO WITH 7 DIAGONAL COLOR TOUCH-SCREEN and AM/FM stereo, includes Bluetooth streaming audio for music and most phones; featuring Android Auto and Apple CarPlay capability for compatible phones (STD). Edmunds.com explains There's plenty of leg- and headroom for tall passengers in all outboard seats, and the backseats fold flat at the pull of a lever to increase the size of the cargo area.. Highlights of this 2016 Chevrolet Malibu LT include: IPod/MP3 Input, Onboard Communications System, Satellite Radio, TRANSMISSION, 6-SPEED AUTOMATIC, AUDIO SYSTEM, CHEVROLET MYLINK RADIO. ENGINE, 1.5L TURBO DOHC 4-CYLINDER DI. Back-Up Camera. EPA 37 MPG Hwy/27 MPG City! 6-SPEED AUTOMATIC (STD), ENGINE, 1.5L TURBO DOHC 4-CYLINDER DI with Variable Valve Timing (VVT) (160 hp [119.3 kW] @ 5700 rpm, 184 lb-ft torque [248.4 N-m] @ 2500-3000 rpm) (STD), CHEVROLET MYLINK RADIO WITH 7 DIAGONAL COLOR TOUCH-SCREEN, AM/FM STEREO with seek-and-scan and digital clock, includes Bluetooth streaming audio for music and select phones; featuring Android Auto and Apple CarPlay capability for compatible phone (STD). Edmunds.com explains Ride quality remains a Malibu strength, with most bumps and ruts getting expertly filtered out before they reach the cabin..
DUAL TOP GROUP Premium Black Sunrider Soft Top, Black 3-Piece Hard Top If ordering without AEM (Dual Top Group), the black soft top will not be included, Rear Window Defroster, Delete Sunrider Soft Top, Freedom Panel Storage Bag, Rear Window Wiper/Washer, ALPINE 9-SPEAKER W/ALL WEATHER SUBWOOFER Amplified 552W 9 speaker, including subwoofer, TRANSMISSION: 6-SPEED MANUAL (NSG370) (STD), ENGINE: 3.6L V6 24V VVT (STD). Highlights of this 2018 Ford Edge Titanium All Wheel Drive With Navigation include: REDUCED FROM $29,985! FUEL EFFICIENT 27 MPG Hwy/20 MPG City! PRICED TO MOVE $2,100 below NADA Retail! LOW MILES - 14,421! 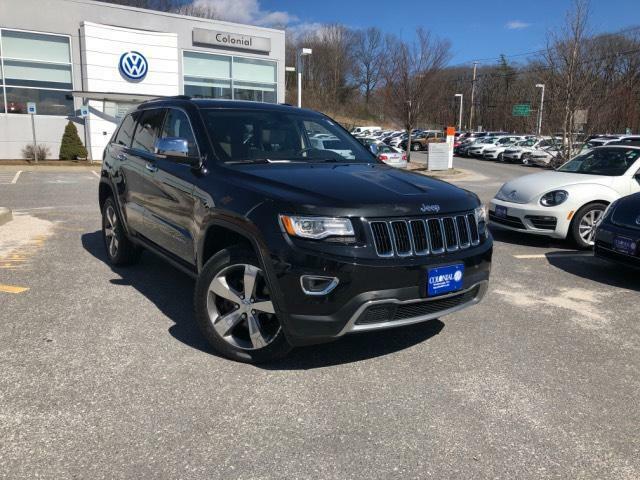 Heated Leather Seats, Back-Up Camera, Power Liftgate, Satellite Radio, Premium Sound System, All Wheel Drive, CERAMIC, LEATHER-TRIMMED HEATED SPORT. LEATHER-TRIMMED HEATED SPORT BUCKET SEATS 10-way power driver and front passenger seat (fore/aft/up/down/recline/tilt/lumbar) w/driver's side memory, ENGINE: TWIN-SCROLL 2.0L ECOBOOST (STD). Edmunds.com's review says The Edge delivers good stopping response and performance that's above average for the class with 119 feet needed to stop from 60 mph..